The field of IT includes a wide range of computer support specialties and the IT Contractors are typically hired to help companies with their hardware and software needs. 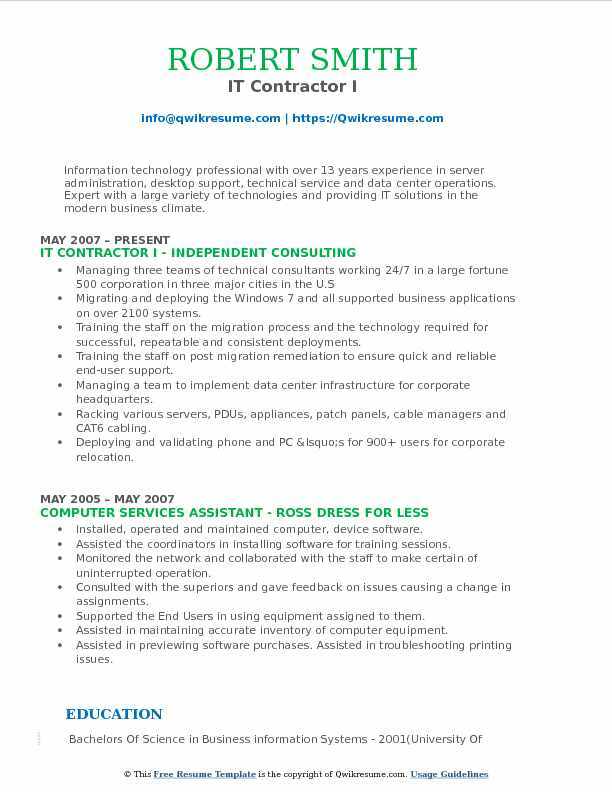 The IT Contractor Resume emphasizes on such duties as – running tests to check efficiency, identifying issues, correcting problems, providing solutions pertaining to internet issues, and carrying out all duties related to the computer’s hardware and software. 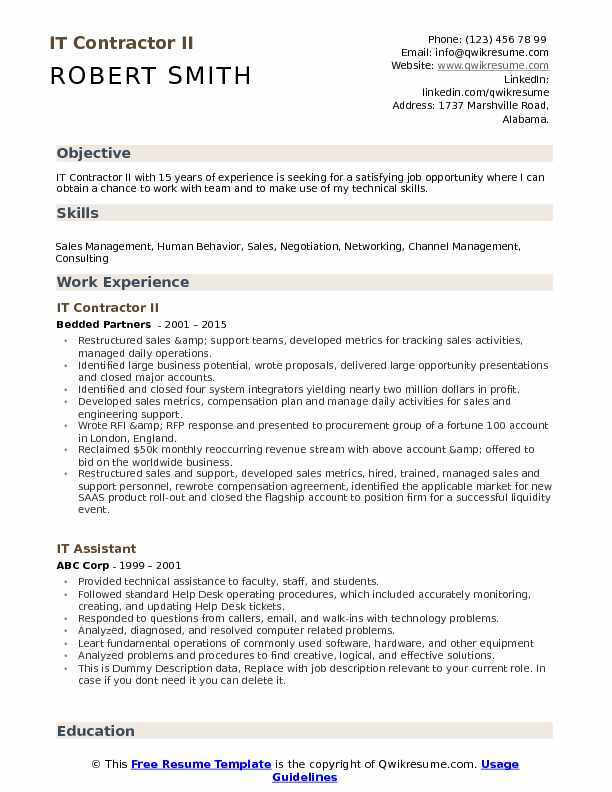 Even though the job description may vary based on job setting, and project type, the skills expected from the IT Contractor’s should include some or all of the following – an extensive knowledge of operating systems, a good understanding of database, archival, configuration management and networking software; a good level of strong verbal and written communication skill and proven work experience. To begin a career in this line, candidates have to first earn a degree in Computer Science or Information technology or Information systems. 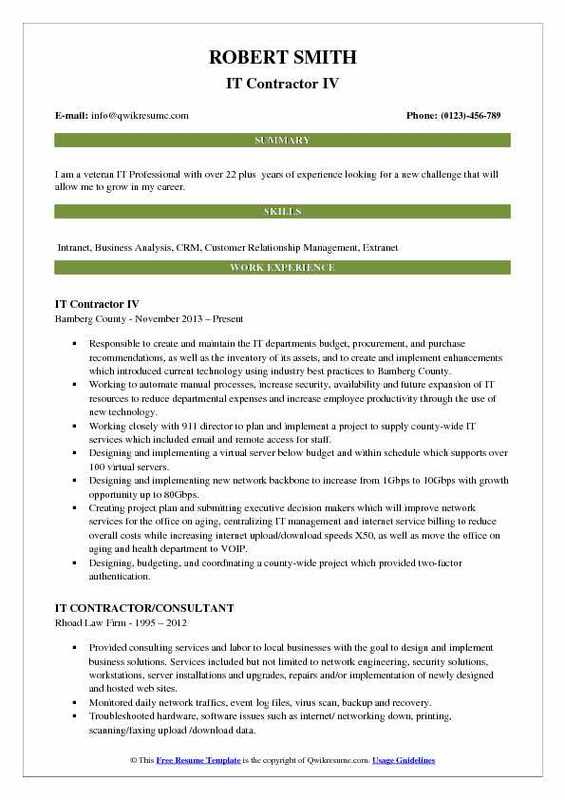 Summary : IT Contractor II with 15 years of experience is seeking for a satisfying job opportunity where I can obtain a chance to work with team and to make use of my technical skills. Restructured sales & support teams, developed metrics for tracking sales activities, managed daily operations. Identified large business potential, wrote proposals, delivered large opportunity presentations and closed major accounts. Identified and closed four system integrators yielding nearly two million dollars in profit. Developed sales metrics, compensation plan and manage daily activities for sales and engineering support. Wrote RFI & RFP response and presented to procurement group of a fortune 100 account in London, England. Reclaimed $50k monthly reoccurring revenue stream with above account & offered to bid on the worldwide business. Restructured sales and support, developed sales metrics, hired, trained, managed sales and support personnel, rewrote compensation agreement, identified the applicable market for new SAAS product roll-out and closed the flagship account to position firm for a successful liquidity event. Reorganized sales and technical support teams to better position and achieve aggressive sales objectives. Identified target market (healthcare) and validated new saas app by closing 12 new accounts in 10 months. 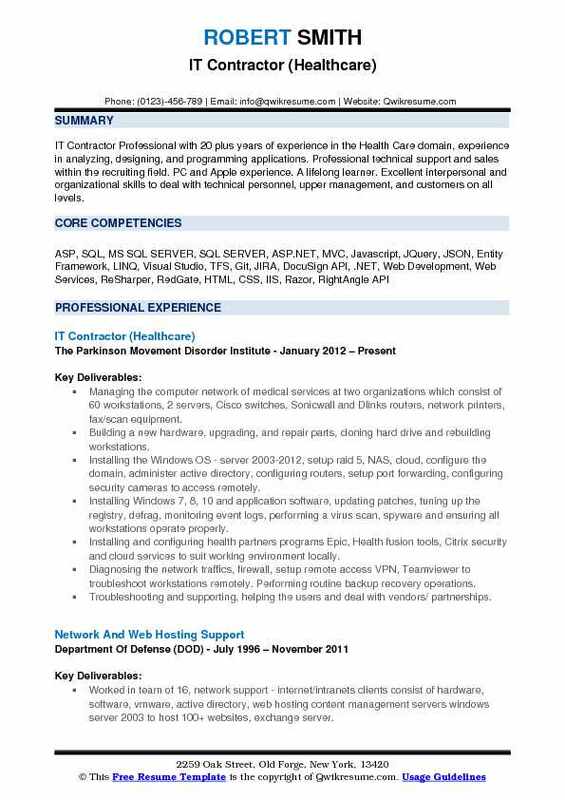 Summary : IT Contractor Professional with 20 plus years of experience in the Health Care domain, experience in analyzing, designing, and programming applications. Professional technical support and sales within the recruiting field. PC and Apple experience. A lifelong learner. Excellent interpersonal and organizational skills to deal with technical personnel, upper management, and customers on all levels. Managing the computer network of medical services at two organizations which consist of 60 workstations, 2 servers, Cisco switches, Sonicwall and Dlinks routers, network printers, fax/scan equipment. Building a new hardware, upgrading, and repair parts, cloning hard drive and rebuilding workstations. Installing the Windows OS - server 2003-2012, setup raid 5, NAS, cloud, configure the domain, administer active directory, configuring routers, setup port forwarding, configuring security cameras to access remotely. Installing Windows 7, 8, 10 and application software, updating patches, tuning up the registry, defrag, monitoring event logs, performing a virus scan, spyware and ensuring all workstations operate properly. Installing and configuring health partners programs: Epic, Health fusion tools, Citrix security and cloud services to suit working environment locally. Diagnosing the network traffics, firewall, setup remote access VPN, Teamviewer to troubleshoot workstations remotely. Performing routine backup recovery operations. Troubleshooting and supporting, helping the users and deal with vendors/ partnerships. Supporting 50 users at work place, site and on-call or remotely support. Helping doctors, managers resolve any issues related with computer hardware, software and networking, write users guide, maintaining medical records to ensure patients information are protected and transferred properly. 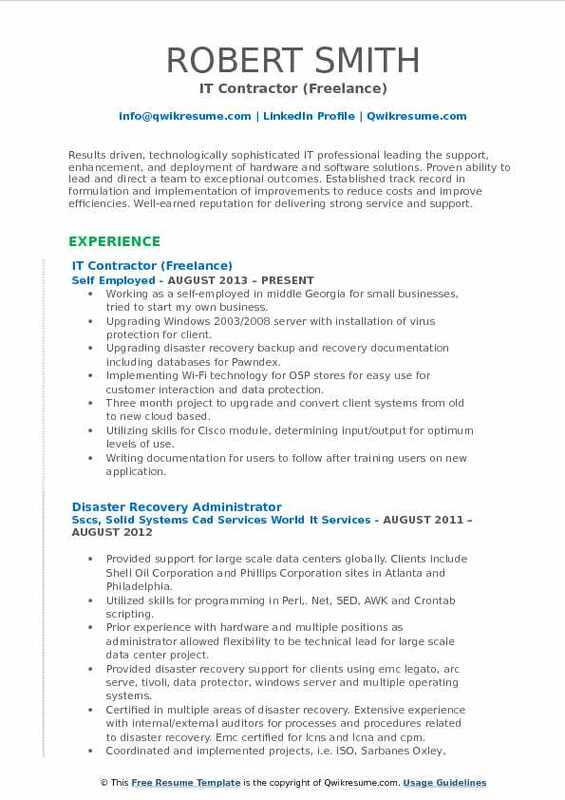 Summary : I am a veteran IT Professional with over 22 plus years of experience looking for a new challenge that will allow me to grow in my career. Responsible to create and maintain the IT departments budget, procurement, and purchase recommendations, as well as the inventory of its assets, and to create and implement enhancements which introduced current technology using industry best practices to Bamberg County. Working to automate manual processes, increase security, availability and future expansion of IT resources to reduce departmental expenses and increase employee productivity through the use of new technology. Working closely with 911 director to plan and implement a project to supply county-wide IT services which included email and remote access for staff. Designing and implementing a virtual server below budget and within schedule which supports over 100 virtual servers. Designing and implementing new network backbone to increase from 1Gbps to 10Gbps with growth opportunity up to 80Gbps. Creating project plan and submitting executive decision makers which will improve network services for the office on aging, centralizing IT management and internet service billing to reduce overall costs while increasing internet upload/download speeds X50, as well as move the office on aging and health department to VOIP. Designing, budgeting, and coordinating a county-wide project which provided two-factor authentication. Replaced outdated computer systems with current systems that allow upgrades in 8-year intervals. Engineering and deploying three new 911 dispatch station that allows upgrades in 8-year intervals and creating a central control system for input from three distinct computers. Working towards obtaining County Network National Institute of Standards and Technology (NIST) and Federal Information Processing Standards (FIPS) certification which will result in validated network security. Headline : Results driven, technologically sophisticated IT professional leading the support, enhancement, and deployment of hardware and software solutions. Proven ability to lead and direct a team to exceptional outcomes. Established track record in formulation and implementation of improvements to reduce costs and improve efficiencies. Well-earned reputation for delivering strong service and support. 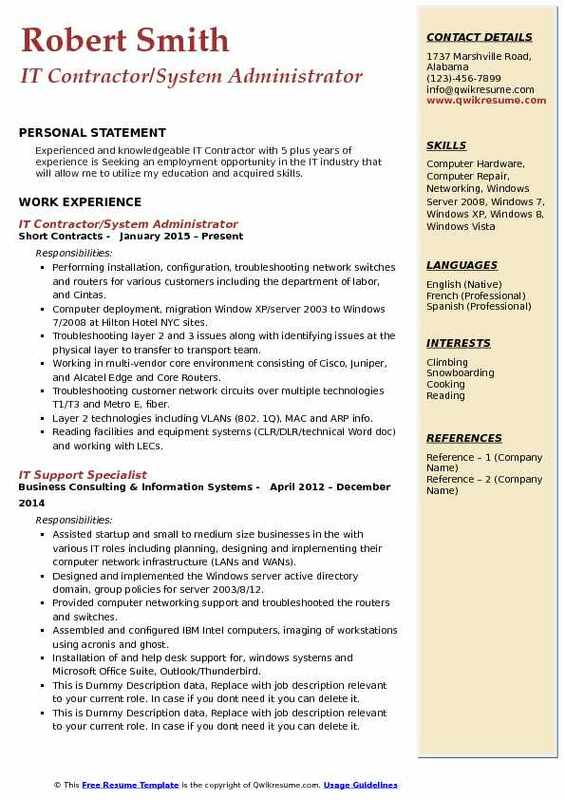 Skills : Microsoft Office, MS SQL, MS Access, dBase IV, Harvard Graphics, Lotus 8 cc: Mail, Lotus Notes Database, Matkon 2000, Seek, ECRI, VHA Net2000, Digimax, System Builder Plus, IQ Objects, various client server protocols and utilities, CSC Managed HealthCare Application, Focal Point, Universe PICK/PRIME Relational Database Operating Systems, MS Outlook and XtraMail (Artisoft) Open A PC support, Symantecs Norton Antivirus Corporate Edition, EMC Legato, Legato Business Suite Modules for Oracle, Sybase, Informix, Lotus Notes. Working as a self-employed in middle Georgia for small businesses, tried to start my own business. Upgrading Windows 2003/2008 server with installation of virus protection for client. Upgrading disaster recovery backup and recovery documentation including databases for Pawndex. Implementing Wi-Fi technology for OSP stores for easy use for customer interaction and data protection. Three month project to upgrade and convert client systems from old to new cloud based. Utilizing skills for Cisco module, determining input/output for optimum levels of use. Writing documentation for users to follow after training users on new application. Taking Ad-hoc calls all over middle Georgia to repair or replace systems as needed. Implementing EMC networker 7. X and business suite modules for databatases. Repairing many customers in middle Georgia who obtained viruses. Repairing and kepping in place best of breeds applications to prevent viruses and security issues. Summary : Performance-driven IT Professional with 11 years of experience and an extraordinary blend of leadership, business, and technology industry knowledge. Recognized for keen ability to improve efficiency and enhance strategic goals. Proven leadership abilities coordinating change and implementation, testing procedures development, and personnel training and management. Worked as a contractor for SAIC through Teksystem for 6 months on a contract to hire. Became a full-time saic employee in January 2010. Primary function is remedy development. Entails taking requirements from customers, analyzing workflow and implementing customized exceptions to BMC/Remedy ITSM system. Responding to written and telephone requests for configuration changes and enhancements to the military health systems service desk application. Applied knowledge of computer programming techniques and computer languages in solving issues and customer-requested changes. Knowledge of BMC/Remedy Service Request Management System. Implemented upgrade from ITSM 7. 1 to itsm 7. 6. 04, copying data from the old system to the new system. Set up a mechanism to bulk load different classes of configuration items incorporating the batch use of the data import tool and the atrium integration engine of the CMDB along with reconciliation. Diagnosing application errors that are reported by customers, the service desk and the remedy support group, taking requirements, analyzing them, evaluating their benefits vs OOB solutions, and then implementing them. Modifying the OOB incident management code to produce a worklog interface on the best practices view similar to the interface on the ITSM 7. 1 system for ease of use. Set up security for email submits, passing complete email through to workinfo and tagging workinfo as phi (restricted access). Setting up worklog updates to use the notification mechanism to allow user defaults to be used instead of email only. Setting up DSO to push information from asset management, change management, problem management and incident management to a dedicated server for bmc analytics. Headline : Senior IT Contractor with 6 years of experience is desiring to use my IT knowledge, experience, and skills to help others solve problems they are unable to solve, remove obstacles they are unable to remove, and find more efficient ways for them to do what they do. A key contributor to the design, development, testing, implementation, and support of a restaurant back office. Mapped the data available in the replacement system to the records and fields of the company's existing extract file and designed the XML schema of the file extracted from the replacement system. Collaborated with the software developers to design, develop, and test the software converting the XML. Collaborated with the cross-functional teams to respond and resolve extract file related incidents escalated. Documented and shared the expert knowledge with various support teams within the organization. Provided recommendations for improving the extract file generation, delivery, and support process. Provided recommendations for the areas impacting extract file generation and delivery. Collaborated with the cross-functional teams to define and implement an escalation process for communicating, responding, and resolving all extract file related incidents. 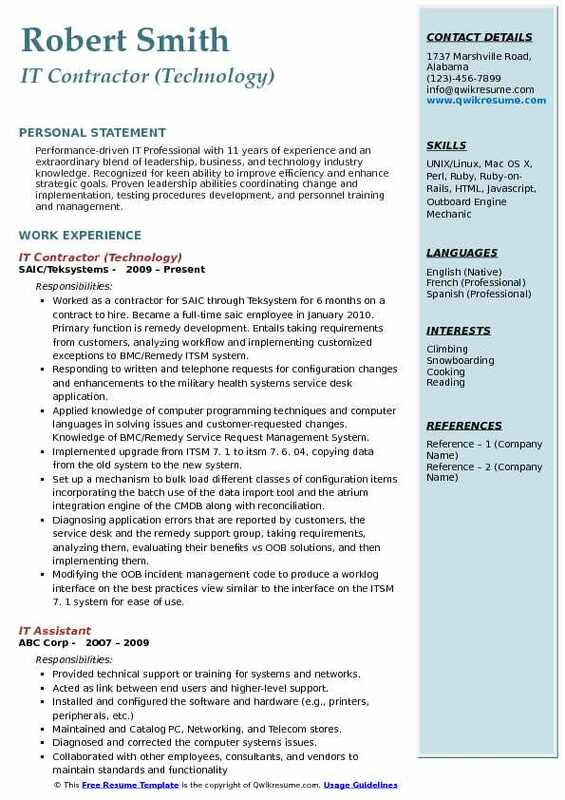 Summary : Information technology professional with over 13 years experience in server administration, desktop support, technical service and data center operations. Expert with a large variety of technologies and providing IT solutions in the modern business climate. Migrating and deploying the Windows 7 and all supported business applications on over 2100 systems. Training the staff on the migration process and the technology required for successful, repeatable and consistent deployments. Training the staff on post migration remediation to ensure quick and reliable end-user support. Managing a team to implement data center infrastructure for corporate headquarters. Racking various servers, PDUs, appliances, patch panels, cable managers and CAT6 cabling. Deploying and validating phone and PC ‘s for 900+ users for corporate relocation. Assisting in printer and fax network routing and troubleshooting for the campus. Built MDT server for deploying Windows 7 image on various desktop systems. Repairing, rebuilding and installing the hardware for a large variety of desktop and laptop computers. 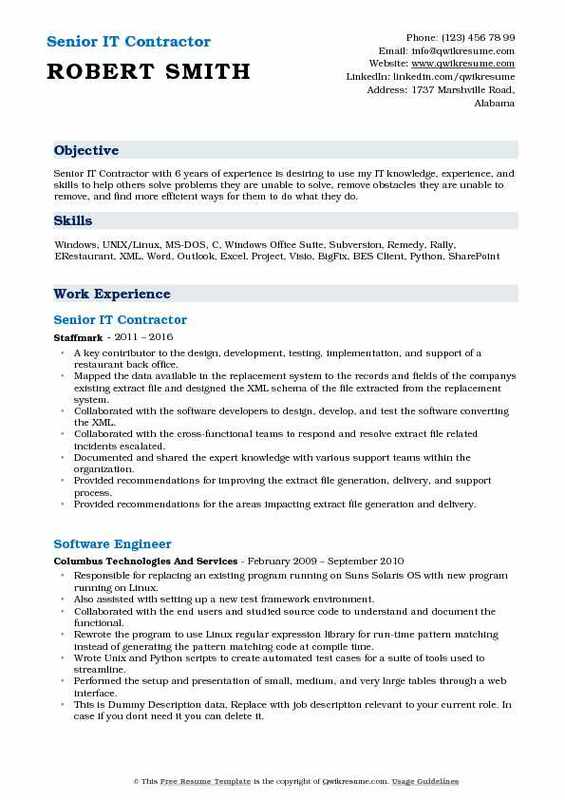 Objective : Junior IT Contractor with 2 plus years of experience in information technology including IT departmental management, project management, business process improvement, network design and engineering, security, system administration, and instructional technology integration. Information technology professional for the company providing mobile, wearable, augmented and virtual technology solutions. Provide strategic guidance, design, implementation and support for infrastructure, security, and cloud technologies for the client. Providing IT management and technical support services for security, disaster recovery and operational environment. Analyzing the business and user needs, documentation of requirements per company standards, and translation into proper system requirement specifications. Responsible for initial planning and estimation of projects and requests. Designing and supporting the VMware environment for sustainability in DevOps environment. Designing and supporting the business continuity and disaster recovery solutions. Managing IT initiatives and projects in collaboration with client staff. Designing and implementing the network security strategy with implementation of proper authorization and access controls. Redesigning and implementing the VMware environment for high availability. Providing technical system documentation for internal business systems and infrastructure support services. 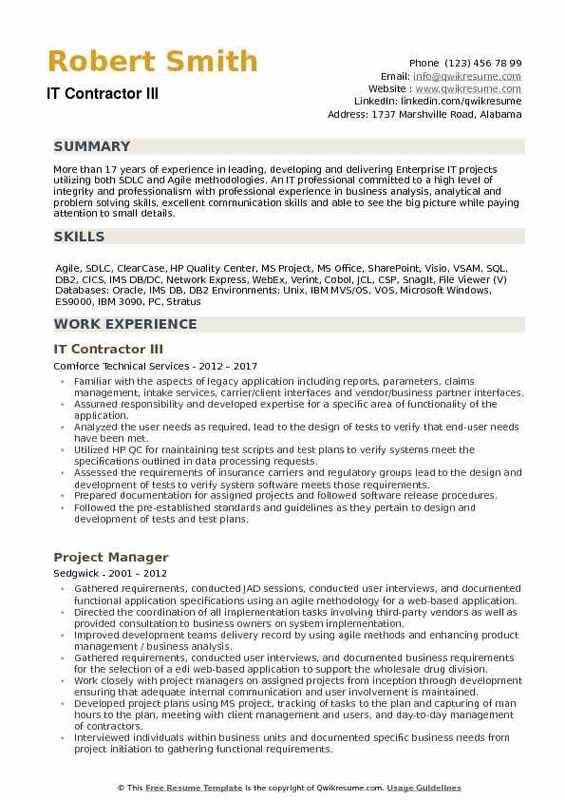 Headline : Experienced and knowledgeable IT Contractor with 5 plus years of experience is Seeking an employment opportunity in the IT industry that will allow me to utilize my education and acquired skills. Performing installation, configuration, troubleshooting network switches and routers for various customers: including the department of labor, and Cintas. Computer deployment, migration: Window XP/server 2003 to Windows 7/2008 at Hilton Hotel NYC sites. Troubleshooting layer 2 and 3 issues along with identifying issues at the physical layer to transfer to transport team. Working in multi-vendor core environment consisting of Cisco, Juniper, and Alcatel Edge and Core Routers. Troubleshooting customer network circuits over multiple technologies: T1/T3 and Metro E, fiber. Layer 2 technologies including VLANs (802. 1Q), MAC and ARP info. Reading facilities and equipment systems (CLR/DLR/technical Word doc) and working with LECs. Troubleshooting, configuring and resolving complex network issues from trouble tickets (clarify and remedy). Organizing and reducing communication expenses, as well as creating and deploying fax server that will allow fax from PC and fax to email which will reduce cost and increase staff efficiency and accountability. Summary : More than 17 years of experience in leading, developing and delivering Enterprise IT projects utilizing both SDLC and Agile methodologies. 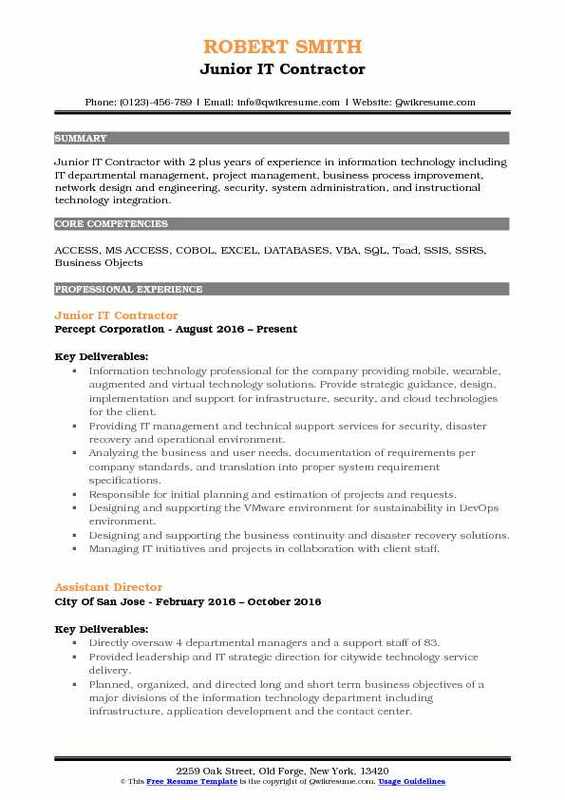 An IT professional committed to a high level of integrity and professionalism with professional experience in business analysis, analytical and problem solving skills, excellent communication skills and able to see the big picture while paying attention to small details. Familiar with the aspects of legacy application including reports, parameters, claims management, intake services, carrier/client interfaces and vendor/business partner interfaces. Assumed responsibility and developed expertise for a specific area of functionality of the application. Analyzed the user needs as required, lead to the design of tests to verify that end-user needs have been met. Utilized HP QC for maintaining test scripts and test plans to verify systems meet the specifications outlined in data processing requests. Assessed the requirements of insurance carriers and regulatory groups lead to the design and development of tests to verify system software meets those requirements. Prepared documentation for assigned projects and followed software release procedures. Followed the pre-established standards and guidelines as they pertain to design and development of tests and test plans. Delivered and maintained the highest quality of customer services to our clients. Environment: Microsoft Windows 2007, Oracle, Unix, MS office, HP quality center.